Amélie popularised the travelling gnome concept (which was later Americanised by Travelocity). 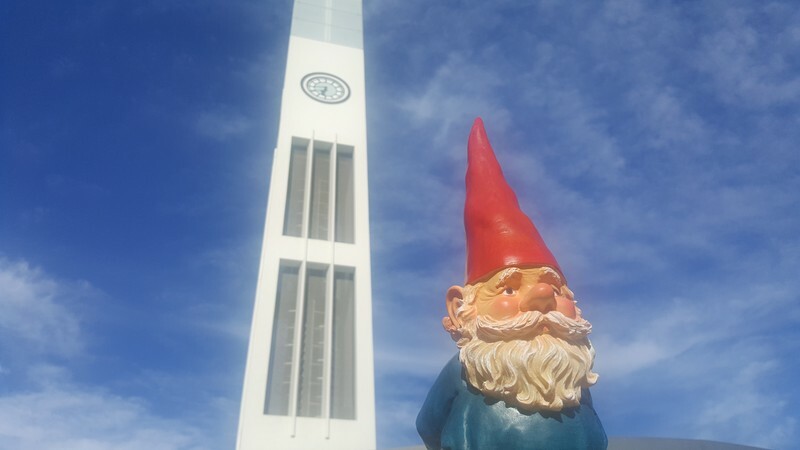 The "Amélie of Palmy" gnome is available for lending once a week. You will meet with an Amélie of Palmy fanatic at the 'secret' Amélie table at Barista for a briefing on the photographic challenges set for you to connect Amélie to Palmerston North. The $5 charge covers your loan of the gnome for one week. Buying a beverage on the day is optional.